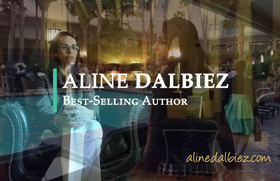 During this day of transformation, Aline Dalbiez reveals how her method has transformed her life as well as that of many other people, to succeed the unthinkable or even the impossible. You will discover how to transform yours by the best and shortest way, thanks to simple techniques and analogies that will wake you up! You'll know everything... about YOU! In a sumptuous place, with a breathtaking view on the bay of Antibes, Côte d'Azur, you will be transported by this unique experience to meet your perceptions, your limits, and your true desires. Aline accompanies you through an exploration of yourself, to identify your point of paradox and free yourself from it once and for all. Does money love you? Come discover it during this conference-workshop. 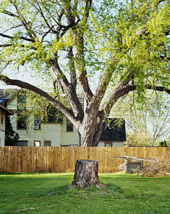 an unexpected but very concrete analogy to regain or strengthen your financial tranquillity and benefit from a harmonious relationship with the energy of money. 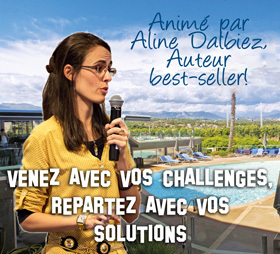 Aline Dalbiez is a best-selling author, Relational Sciences Engineer and Certified Professional Coach. Notably author of "Le Pouvoir des Mots: Un secret du succès relationnel" and "The Road to Happiness: Women's wisdom on love, life and margaritas", she founded and leads ALINEON® to help you transform your experience. Aline accompanies you through an exploration of yourself in your relationship to the 5 fuels of life, success and happiness, to identify your point of paradox and free yourself from it once and for all. Your life is awaiting you, get ready ! Aline will be accompanied by Jean-Luc Scheefer, engineer in New Technologies, passionate about the [Financial] Health, her partner of life, of heart, of soul and conscience, with whom she shares this energy of harmony that allows you to solve everything, whatever your enigma. Come meet them - your presence will be enough to benefit from it. ⇒ To know more, contact us. GET READY TO DEPLOY YOUR FULL POWER ! 4. The technique in 3 criteria to transform your life with just 1 WORD. A word for what? How is it possible? A word to get out of your paradox and rediscover how life can be great. The word that will make the snowball effect to transform your life. A simple word that allows you to behave differently, without having to change or resist. The word that you cannot find alone, and that will allow you to make the right decisions in the moment, to make the right choices now, in order to live the future you want. The word that corresponds to YOU and that will allow yourself to be TRANSFORMED. Best-seller author of The Road to Happiness: Women's wisdom on love, life and margaritas, and Le Pouvoir des Mots: Un secret du succès relationnel, New Technologies Engineer and Certified Professional Coach, Aline Dalbiez has developped an extraordinary capacity... She models human behaviors and helps us transform at will, to live TRULY happy, including and especially when it seems impossible. 4. The technique in 3 criteria to transform your life with only 1 WORD. What would be your most cherished wish? How to make it an achievable target? The Margarita Recipe of Happiness, simple to understand to savor the best cocktail of your life. The funds are intended for the Entrepreneur's International Foundation, a non-profit organization dedicated to raising awareness of charitable causes. 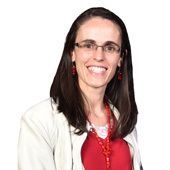 Success Coach, Aline Dalbiez, Hits Amazon Best-Seller Lists ! The Road to Happiness: Women’s wisdom on love, life and margaritas. The inspirational story and recipe shared in Aline Dalbiez’s chapter, “Make a True Wish and Get Your True Bliss,” has helped the book reach optimal best-seller placement and will help readers gain similar success in their endeavors. The book was published by CelebrityPress®, a leading business book publisher that publishes books from ThoughtLeaders® around the world and was released on September 13, 2018. 📖 You may discover the book HERE. ⇒ Read more on PitchEngine by clicking HERE, or Read more on PressNewsRoom, by clicking HERE. 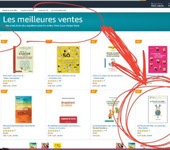 Le Pouvoir des Mots : Un secret du succès relationnel (The Power of Words: A secret of relational success) got skyrocketed in the Amazon.fr bestsellers in Communication and social skills. Do you know what really makes us happy in all this? It's YOU. Why that? Because this book, and all that we strive to structure and share through ALINEON® is a treasure of true reconnection to your true nature, your ability to walk the path of your life with a smile in your heart, knowing that everything is fine and that you are doing what you really want. Read more in the release of The Alineon Chronicle. 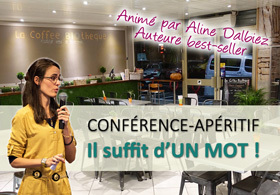 Aline Dalbiez, best-selling author, recipient of a Quilly® Award! At the same place where was held the first ever Oscars ceremony of the Cinema! For the book The Road to Happiness: Women's wisdom on Love, life and margaritas, Aline Dalbiez was interviewed on the red carpet, just after being recognized Best-selling author by the National Academy of Best-Selling Authors® of the United States. Get insights into her chapter and recipe of Happiness! Feel the connection to your true bliss which has been calling you for so long already. This is time for you now to get ready and apply the recipe so you can enjoy the road, in true happiness and bliss, whatever happens along the way. ⇒ Connect with Aline on Facebook or LinkedIN and find out her dedicated photo album by clicking here. In a sumptuous place, with a breathtaking view over the bay of Antibes, French Riviera, you will be transported by this unique experience to meet your perceptions, your limits, and your real desires. Aline Dalbiez and Jean-Luc Scheefer invite you to discover how to exceed your usual limits and dare a life even more starry than you had ever dared to dream of. ✅ Free yourself from your unconscious programs and move on to inspired action! The content of The Rendez-vous ALINEON-et-VOUS™ is tailor-made, depending on your questions and/or challenges that you will tell us a few days prior to the event. Discover our press-release in French. LOCATION: The book will be released in English under the CelebrityPress® LLC imprint, a leading business book publisher that publishes books from ThoughtLeaders® around the world. Aline Dalbiez will team up with other leading entrepreneurs and professionals, to release the new book, The Road to Happiness, which provides professional inspiration to current and aspiring entrepreneurs. Antibes, French Riviera, France - June 30, 2018 – Founder of ALINEON®, Aline Dalbiez, recently signed a publishing deal to co-write the forthcoming book titled, The Road to Happiness, published by CelebrityPress® LLC. Hard to believe? Certainly, hence the usefulness of these Rendez-vous ALINEON®-and-YOU. 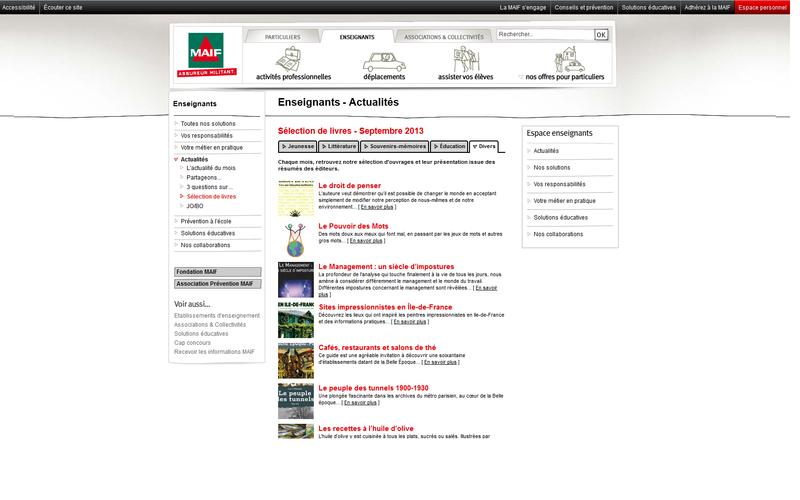 LOCATION: Appointment online (in French), a simple connection is enough, even on mobile. ✔️ Stop wasting your time living the life of another or according to standards that do not fit you. ✔️ Stop trying to please everyone or solve problems you do not even need. ✔️ Allow yourself to CHANGE and discover that your life is much more POSSIBLE that you would believe it. ✔️ Allow yourself to finally live your ideal, not that of another or a demotivating compromise, your true IDEAL. What if life was not limited to constraints and chores...? ✔️ These Rendez-vous ALINEON-and-YOU, are OUT OF COMMON: unusual, off the beaten track, precisely to help YOU get out of your usual routine and finally live differently the freedom you dream of. Your questions and your participation remain confidential, and you benefit from the questions of all the participants. With ALINEON®, the impossible becomes POSSIBLE. The principle and impact of your E.R.U.P.s You will be able to immediately identify what really constrains you. Your internal emotional compass and how to use it. You will finally understand what all these emotions are for! FREEDOM is yours with our brand new exclusive FREE eBook! After announcing it to some of you in preview, our brand new exclusive and all-time eBook is FINALLY available! CLICK HERE to access your TRUE freedom! There is obviously something that seems "impossible" to you but that your heart would really like, right? Well now, you know it's POSSIBLE in fact, and that we have the means to help you get there - with a minimum effort, and for maximum satisfaction. Everything is explained in our E.R.U.P. eBook → Download and READ your copy NOW! → French version is now released, if the English version is still not available, please contact us. It's time to "take back control" of your life and TRULY enjoy it, don't you think?! If you have already followed REPROG, this Rendez-vous is a complement to everything you have already covered, which will allow you to go even further now. Personal development is no longer a taboo or a secret! Everyone is talking about it, even the most famous movie actors and a multitude of quality writers. Everyone hears about solutions for everything, but who really benefits from the results? ➡️ These appointments are different from anything you have seen so far, as we offer you to take action immediately on the subject of your choice. During this appointment, you will TAKE A STEP FORWARD. What if it could be OTHERWISE?! STOP wasting your time and resources WITHOUT real results! With ALINEON®, the impossible becomes POSSIBLE, and to benefit from it in YOUR life, it's up to YOU to take the plunge to join us online. THE WORLD IS CHANGING, WHAT ABOUT YOU?! YOU'VE TRIED EVERYTHING AND NOTHING SEEMED TO WORK? ➡️ Taste the revolutionary power of REPROG and take back control of YOUR LIFE. Join us online Tuesday, February 20th at 8:30 pm. "You can be, do and have what you REALLY want." - "WHAT ?!" This sentence is not an empty rhetoric. Only YOUR BELIEFS, YOUR FEARS, YOUR CONSTRAINTS, YOUR THOUGHTS, YOUR PROGRAMS, PREVENT YOU FROM LIVING THIS REALITY. ➡️ REPROG is not an online training. This is a TAILORED support structure that allows you to reprogram YOUR life, according to YOUR criteria. ✅ You can now transform your life to live what YOU REALLY want. Come taste it during this free online rendez-vous, Tuesday, February 20, 2018 at 8:30pm. Leave your judgments and your fears at home and join us for a private party, rich in exchanges and that will definitely change the way you perceive money and the world around you. 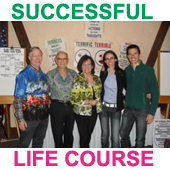 Come to realize and enjoy the power of the group to go beyond your usual limits. You will experiment firsthand during a simulation that will show you direct impact of your state of mind on the state of your finances. What if you changed your story?! DATE: NOV-DEC 2017: Tuesday 7 Nov, Wednesday 22 Nov, Sunday 3 Dec. LOCATION: Online rendez-vous, a simple connection is enough, even on mobile! Come discover the solutions you already have at your fingertips, to succeed to be truly yourself. To learn more and see comments of participants: CLICK HERE. Your questions and participation remain confidential. You benefit from optimized content thanks to the questions of all the participants, including yours, register to ask them! So, the routine or the wheel turns ?! Come discover how your life works to regain control of it and stop living the life of another. 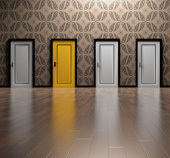 Thanks to this customized information, according to YOUR questions, you will begin to see, hear and understand what you truly want in order to reach it by the best and the shortest way. Your questions and participation remain confidential. You benefit from optimized contents thanks to the questions of all the participants, including yours, register to ask them! Allow yourself to access a life you TRULY enjoy. Through your questions, your challenges, testimonials, proofs of what works, or even extracts from films and well-chosen sources of inspiration, discover or rediscover your free access to your TRUE life: one that is filled with what you TRULY want to live. To know more and see comments of participants: CLICK HERE. The contents of these Rendez-vous are tailor-made according to your questions and/or challenges indicated during your registration. Do not be surprised that it is every time different and even more powerful. When impossible becomes possible, what do you do? 2. THE basic principle to master in order to achieve what you really want, even if the path seems impossible. 3. The testimony of Marion, who succeeded what would seem impossible to most people... She left her comfort and managed in a minimum of time to get back on her feet financially, while realizing her dreams and living the life that really suits her. On Stage in Montreal ! And you, what will be your most incredible trophy?! If you were not there, join us now to not miss anything in the future ! 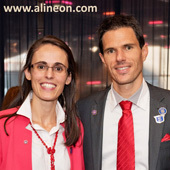 At a major event, bringing together hundreds of people sharing the same goal, the one to live better, to live more, to live truly, and to build and share all this success together, Aline Dalbiez had the immense honor to be invited on stage to share her testimony. It was with great emotion that she shared a small part of her journey, making us discover the true meaning of feeling "good enough" to be worthy of being loved, and her most incredible and unexpected trophy, that she had on stage, symbol of her most incredible success up to this date. If you'd like to learn more, discover the video of this incredible speech and apply to join this community, do not hesitate, contact us. These Rendez-vous ALINEON-et-VOUS are a free sample of our top-of-the-range unprecedented products. Enjoy it as soon as possible so you do not regret it. Book your place for free at the date of your choice: CLICK HERE. The contents of the Rendez-vous ALINEON-et-VOUS are tailor-made according to your questions and/or challenges indicated during your registration. Do not be surprised that it is every time different and even more powerful. It's time to change, but how and where to start ?! This is exactly what took years to Aline to discover how to detach herself from the illusion of past comfort and move towards the true comfort of her ideal life. You deserve to know too, so come and discover how to get there, too, in just a short conference! Register for free by booking your seat on the date of your choice : click here. The content of the REPRÔG Conferences is tailor-made according to your questions and/or challenges indicated during your registration. How to transform your life step by step without wasting 10 years of your energy, time or money. You will come out more serene, more confident, motivated, determined, and enthusiastic to the idea that your ideal is indeed possible! Enjoy it. Faster, easier, simpler, the new version of your CENTEURO program is available. Do not waste any more time, we offer you the possibility, at a very attractive price, to be part of the people who really understand what the financial comfort is. With the BONUS, discover how to simply and effectively invest your money to generate between 10% and 100% of annual interest, or even more for the bolds. In 2017, let's take the lead ! Stop regrets and amplify joy, satisfaction and accomplishments ... would you like it ?! This year, we propose to explore the meaning of LEADERSHIP. The Alineon Chronicle will transform to accompany you even more into the core of your changes and you will always be free to enjoy it or not, at your convenience. If you do not already receive it by email, sign up now to not miss anything. 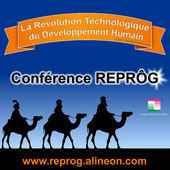 REPROG Conferences should resume in the near future. We will also reveal new testimonials! Register here to be informed first and not miss anything. Now available in English ! ⇒ All true. All real. All tested and proven to work. Start FREE right now with their tell-all exclusive 7 step recipe. Click here. Come join us for a unique workshop during the next PMI Forum (Project Management Institute) to be held on Tuesday, November 8, 2016. This free workshop will help you discover and experience first hand how your own Relational Intelligence is your access key to psychological security and therefore to your own performance as a team or in any relationship. Explore the event and register here. On stage in San Diego ! How to have a GOOD day, whatever the circumstances. We have certainly been silent during the summer, but it's not for lack of traveling the world to always keep spreading the right messages and bring back the best to share with you. 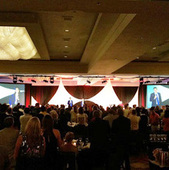 We had the great honor to be on stage in San Diego, to share some secrets that can transform any circumstances into an excellent experience. The feedback we are still receiving today is a pleasure to read or listen to. When you really get the secrets, you really benefit from them. 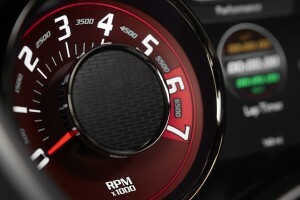 Enough to seriously improve your life. Find out how to take back control of your life to make it fit with what you want. 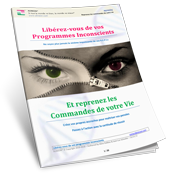 Cette nouvelle conférence revisite complètement les nouvelles technologies humaines pour vous permettre de comprendre simplement comment reprendre le contrôle de votre vie, être vous-même et vivre votre vie idéale. 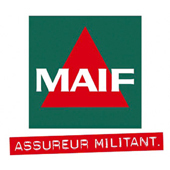 1- UNE AUTRE VISION de la raison NUMERO 1 qui vous empêche de réussir ce que vous voulez. 2- UNE AUTRE COMPETENCE nécessaire pour réussir et être heureux au delà de vos limites actuelles. 3- Les 12 paramètres de base de la vie que vous devez maîtriser pour être le maître de votre existence. In 2016, achieving what you desire is possible. 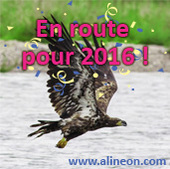 DATE: Let's go for 2016 ! Find out what ALINEON reserves for 2016, to show you that what you really want is possible, to help you find the freedom to live the life you want, with pleasure and satisfaction. New REPROG upcoming conferences, to explore the power of your own functioning. You're human, right? Then discover how to enjoy the corresponding benefits now. The Alineon Chronicle continues to unveil the secrets of human functioning. The smallest details that make the biggest differences. The subject of February will reveal how to get closer to your ideal in 3 questions. Some time ago, I took part to finance the production of a film you may have heard about and which has just hit theaters on Wednesday, December 2nd. After a few minutes of conventional realism, the film is filled with evidence that the world is making great strides and that even if you have not moved yet, others did not wait. Here is a taste with the trailer. .CENTEURO. The art of having more money. Special offer - Christmas preparation - for the first 100 to participate ! Through a guided example that everyone can achieve, CENTEURO makes you discover what the wealthy people know and practice everyday. Assimilating and practicing this knowledge, as well as the bonus, you will be able to earn more without limit. And for the first 100 to participate in the program CENTEURO between the 1st and 30th November 2015, a copy of the book Le Pouvoir des Mots : Un secret du succès relationnel is offered as a gift ! Watch the video and find out your path to financial comfort. ALINEON had the pleasure of discovering this project in time to contribute to their crowdfunding campaign to deploy their new web-TV project: INREES-TV. And I was lucky enough to find out their latest issue Inexploré n°28 at the airport, while waiting for my flight to a great adventure in the United States. This magazine is really great, very informative and I found myself reading far more than any other magazine so far. I recommend it without hesitation and I challenge you to find my head among all on the double-page of contributors (p.6-7)! 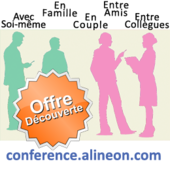 Cette deuxième conférence sera plus courte et complète et vous présentera différentes options à votre disposition. 1- La raison NUMERO 1 qui vous empêche de réussir ce que vous voulez. 2- Une compétence nécessaire pour réussir et être heureux au delà de vos limites actuelles. 3- Les 12 paramètres de base de la vie qui vous font défaut ou qui vous polluent l'existence. What if our entire life could actually be a great vacation?! Los Angeles, Hollywood, Griffyth, Beverly Hills, Runyon Park, Malibu, Santa-Monica, Venice Beach, Universal Studios, Three Rivers, Sequoia Park, Death Valley, Red Rock Canyon, Las Vegas, Road 66, Grand Canyon, Phoenix, and Indianapolis. What if our entire life could actually be a great vacation?! Would you like to know how to get that? The Alineon team went away to explore this ambition of american size and found out one of the best course available at that time in order to make of one's life a daily success. This course is called SUCCESSFUL LIFE COURSE, animated in English for three whole days by the amazing couple of Ed Foreman et Earlene Vining. It is also and above all by learning from the best that one can become the best. If you understand English, this course is absolutely essential to experiment for yourself, in order to transform your life into a daily success. And if you do not understand English, be excited and enjoy, Alineon does not hesitate to travel the world to always make you enjoy the most outstanding content. The magazine targeted an outcoming release for September 2014. This release should be accessible online directly on their website. And to facilitate a direct access to the article concerning Alineon, you can consult it by clicking here. Of course, consider that the article is written in French. If you are bored of unpleasant conversations... If you wish to live serenely your professional or personal relationships... and if you want to understand what is going on backstage of your discussions to improve your interactions, to feel better and to optimize your results... Then this conference is for you. 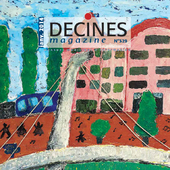 The Décines Magazine talks about Alineon and "The Power of Words"! Curious to know secrets of success in communicating with others? Read more in the online publication. Communication or success? Both for the price of one! Official launch of The Alineon Chronicle in English! 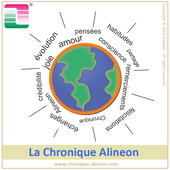 In written, audio and video format, within just a few minutes, The Alineon Chronicle regularly reveals a specific usage of the power of words and very simple techniques, in order to accompany individuals through their personal evolution and help you cope with current challenges of your daily life. 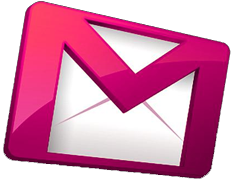 Click here to access all topics and simply subscribe to be informed by email. 60 rue Dostoïevski à SOPHIA ANTIPOLIS. To find out the location : click here. What is leadership today? Which elements could help us reconsider our way to be a leader and approach new generations with an adapted leadership? Which links can be identified with sport in order to understand how to obtain a group performance from individuals? 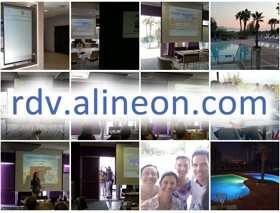 Some video extracts of the lecture, photos and the presentation are available in The Alineon Chronicle: Clich here. 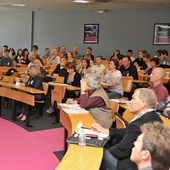 Event organised by the PMI France-Sud association, formed by a group of Project leaders from the PACA area and some members of the international organisation PMI - Project Management Institute. 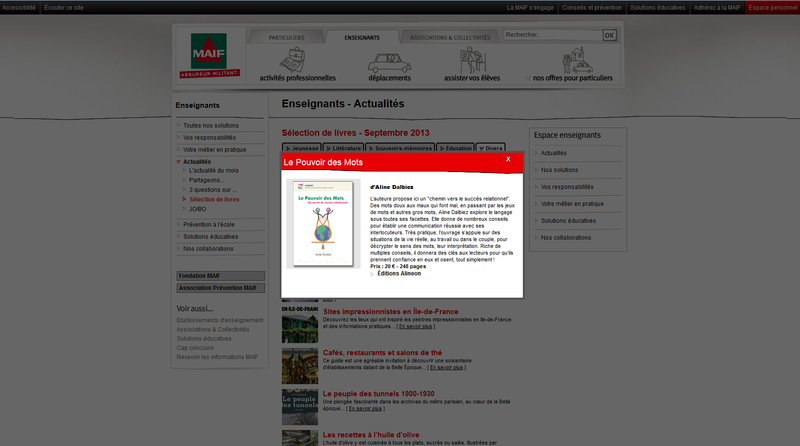 Accessible online in their selection-livres-des-societaires until November 12th, 2013. The author proposes here a "path towards success in relationship". From sweet words to painful words, through plays on words and other bad words, Aline Dalbiez explores language in all its facets. She gives many tips to establish a successful communication with your interlocutors. Very practical, the book is based on real life situations, at work or in a couple, to decrypt the meaning of words, their interpretation. Enriched with a lot of tips, it will give keys to readers so that they get more self-confidence and dare, that's it ! For memory, the visual of their selection is available here and their feedback was there. Who never had to face a difficult or uncomfortable social situation? 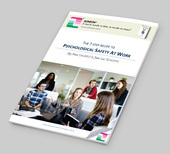 Who has never dreamed of being able to effectively communicate with family or colleagues? Communication that is made of our gestures, our voice but also by the words we use. Words that can have a positive or negative impact on our relationship with other people, depending on how they are used. 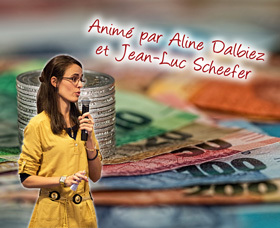 5 minutes for an interview (in French) of Aline Dalbiez on The Power of Words. Join us to discuss about success in relationship and get your autograph! Come and join us to exchange on the topic and get your autographed copy! 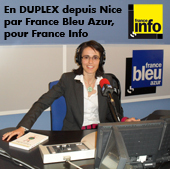 Aline Dalbiez just published "Le Pouvoir des Mots : Un secret du succès relationnel"
First interview, done by Simone Ronjon, for the graduates' news. Aline tells us the origin and the mission of this book. Publication "Le Pouvoir des Mots: Un secret du succès relationnel"
First book publication by ALINEON, now available directly on Amazon (www.amazon.fr)! For more details, just have a look at the online shop! Regarding a situation which is causing trouble regularly in your job, join us in taking some time off to stand back and put in application some solutions that you will have explored with the group.